By sending an email from your Bowdoin email address to one of a few special email addresses, either the email itself or the attachment(s) will be available to print from any PolarPrint release station on campus. The following steps will help guide you through this process. Decide how you want your print job to appear in order to select the correct email address. 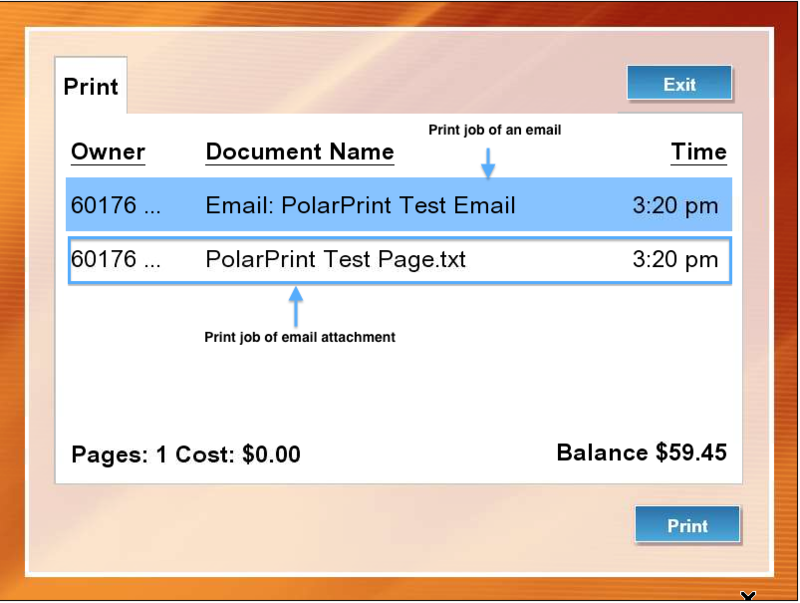 Even though PolarPrint mobile printing doesn't support Apple iWork documents, you can still print from those applications and apps by emailing your document in PDF format. Once decided, send your print job(s) to any of the above email addresses. You will not see your name next to your print jobs, the string of numbers next to each print job is actually part of your OneCard ID number and is not easily known/memorized so be sure to look for your document name to identify the print job. Check out this knowledge base article I found in the Bowdoin College knowledge base. https://bowdoin.teamdynamix.com/TDClient/KB/ArticleDet?ID=22421 Print from a Mobile Device (Mobile Print) Direction on how to print to Polar Print printers from your mobile device.